Spiritualty exists on the inside. It is the powerful, internal, ultery personal way that we alone as individuals Interact with the wonders and mysteries of life. Tarot fits that category, as does non-dogmatic life philosophy Taoism or Zen Buddhism for example.) 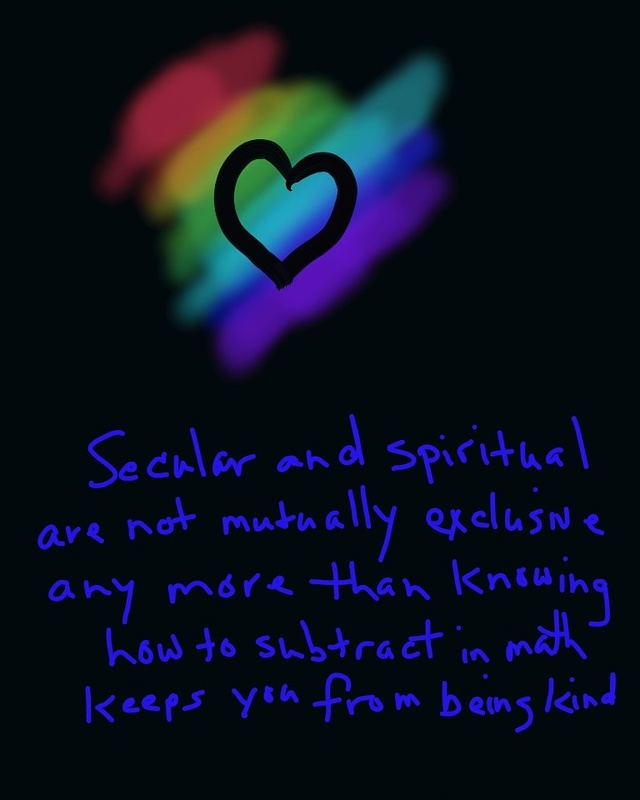 Spirituality should never be confiated with religon, which is an external, codeifed, group experience. For some few the two things utterly overlap. For others, they do not touch at all. We are not all religious, nor is everyone atheist. The beauty of Tarot readers, indeed oracles, psychics, and sensitives of every type, is that we are all indeed human with all of attendant joys and sorrows thereof. Tarot and the spiritual aspects of life embrace it all rather than sort, lable, Judge or dismiss.